Established in 2002 by Carlos Choy, Inka is a Peruvian brand of high quality limestone cement developed for general use and initially sold as an unpacked product directly to industry. 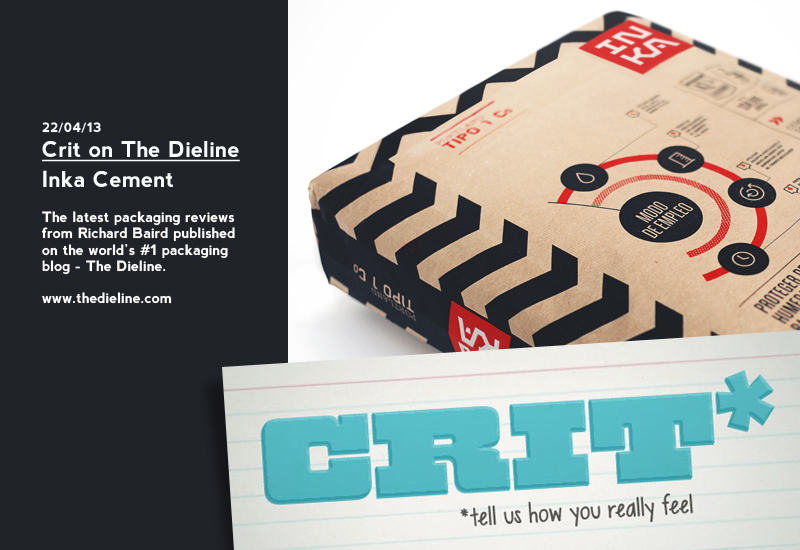 Following a move into the retail sector with a pre-packed product in 2007, Inka recently engaged Brandlab to develop a new visual identity and packaging solution, choosing to replace character illustration with heavy industrial cues, a subtle Inca duality alongside contemporary communication which convey reliability, longevity and quality. Continue reading my review of Brandlabs’ work for Cementos Inka on The Dieline. 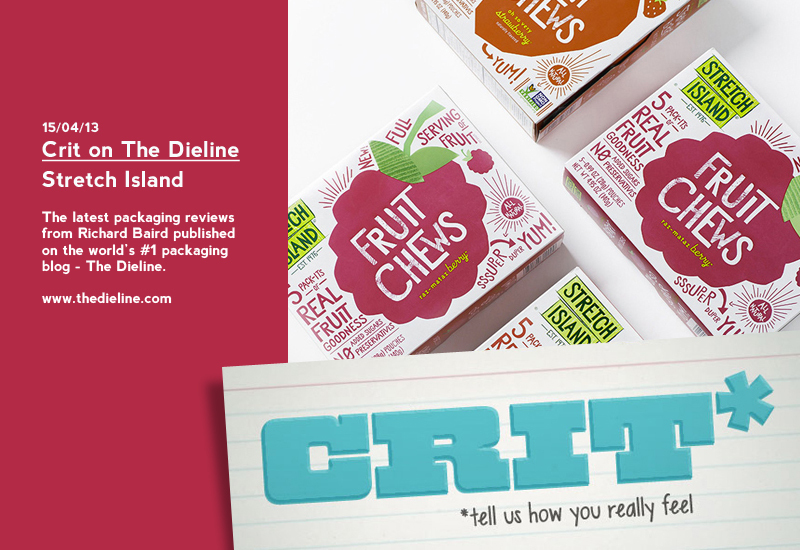 The Stretch Island Fruit Co. have been providing ‘tasty, all-natural fruit snacks to people on the go’ since 1976 from its Washington base on Stretch Island. The packaging for their latest product, a three flavour range of fruit chews, developed by multidisciplinary design agency Ptarmak, utilises a bold paper-craft aesthetic and a typographical intensity to mix fun, fact and natural authenticity – blurring the line between the bold flavour associated with sweets and the health of fruit – to appeal to both adults and children. Continue reading my review of Ptarmak’s work for Stretch Island on The Dieline. 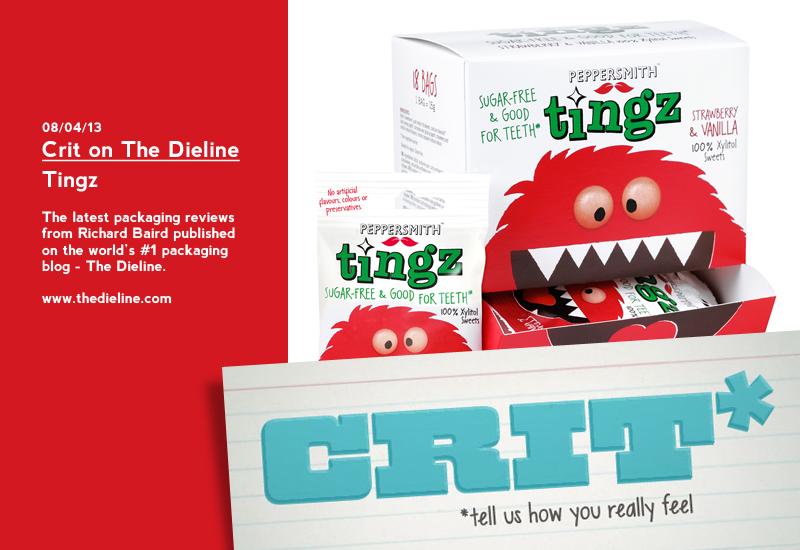 Launched by natural chewing gum brand Peppersmith, a company established in 2010 by former Innocent employees Dan Shrimpton and Mike Stevens, Tingz are a new, two flavour confectionary range that uses Xylitol, a natural wood sugar, to add plaque reducing property to the sweets. Developed by London-based B&B, the agency behind the Peppersmith visual identity, the packaging for the line builds on the quirky personality of the brand, by introducing two wide-mouthed monster characters, a contrasting white and bright colour palette and subtle texture to create a wholesome but flavourful quality that reflects the natural, dental improving properties of the sweets. Continue reading my review of B&B’s work for Peppersmith on The Dieline. Established in Zurich as a cooperative during 1925, Migros has grown to become Switzerland’s largest retailer, supermarket and employer. Following the introduction of their M-Budget and Sélection own-brand lines, Migros has expanded into the bio market with an extensive 1000+ range of organic products produced from sustainable agricultural practices. The range’s packaging and visual identity, developed by graphic designer and art director Pascal Frey and Schneiter Meier, delivers an everyday accessibility to what has, in the recent past, been seen as an expensive lifestyle purchase through the merging of natural, high quality illustrations and images with simple layouts and plenty of space. 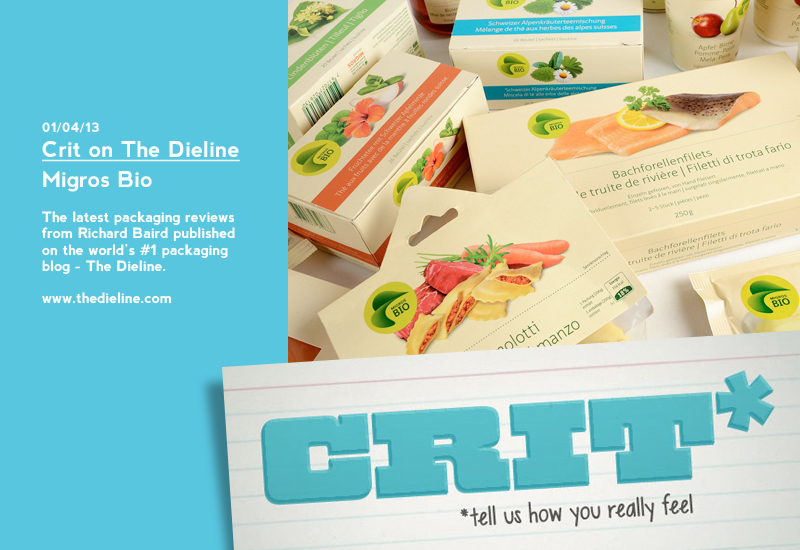 Continue reading my review of Schneiter Meier’s work for Migros on The Dieline.